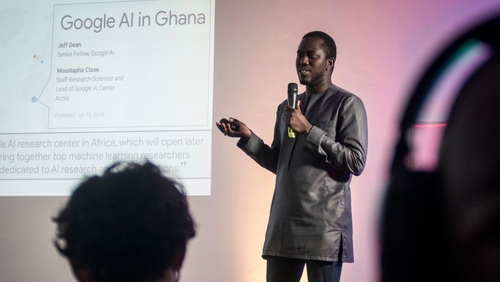 "Africa has many challenges where the use of AI could be beneficial, sometimes even more than in other places," Google's head of AI Accra, Moustapha Cisse said at the centre's official opening this week. The new lab, Mr Cisse said, would use AI to develop solutions in healthcare, education and agriculture - such as helping to diagnose certain types of crop disease. Mr Cisse, an expert from Senegal, said he hoped specialist engineers and AI researchers would collaborate with local organisations and policymakers. "We just need to ensure that the right education and opportunities are in place," he added. Africa's population is estimated to be 1.2 billion, 60% of them under the age of 24.